Glacier Park Photographer: Oil Train Explosion - Could it Happen in Glacier National Park? 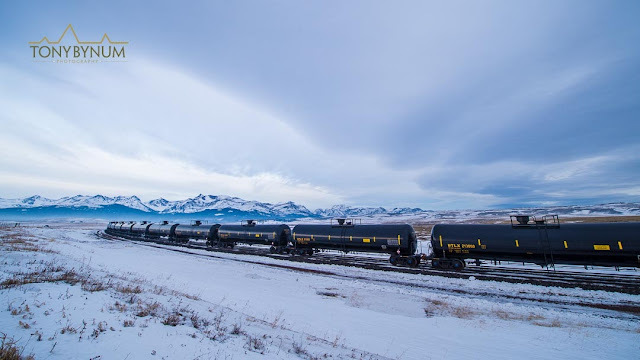 Oil Train Explosion - Could it Happen in Glacier National Park? The truth is we all use oil. It also is true that trains are more efficient and economical than trucks when it comes to long hauling goods across our continent. Accidents happen, no doubt! In this post I wanted to let people know that the same trains and cars recently involved in the explosion in Quebec that killed 5 while 40 are still missing, also run between the oil rich Bakken, though Glacier National Park, in route to refineries in the Puget Sound (related story). Could the type of explosion, that happened in our neighboring country to the north happen in Glacier Park, East Glacier, West Glacier, or Browning? Seems plausible to me . . . What's in place to stop it from happening here? As a member of the East Glacier Volunteer Fire Department I can not recall anyone from Burlington Northern ever talking to us about oil trains and emergency response . . . Here's to making sure that kind of accident does not happen again - anyplace!